Mary Lou Belli is a two-time Emmy Award winning producer, writer, and director as well as the author of three books, her latest “Directors Tell the Story” which she penned with Bethany Rooney. She directed over 150 episodes of television including Monk, Hart of Dixie, The Game, Girlfriends, and The Wizards of Waverly Place. This season she directs NCIS New Orleans. 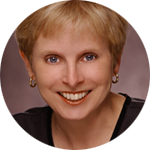 Mary Lou has done ground-breaking, award winning work in the field of webseries. She currently has a short playing the festival circuit: Straight Eye for the Gay Guy. She teaches directing at USC’s School of Cinematic Arts.